Discussion in 'Introductions' started by Rrrobert, Jan 4, 2017. Hi everyone! I'm Robert. I'm a Daddy of 2 (soon to be 3) beautiful children. 2 girls and (hopefully!) 1 boy. 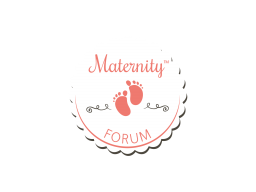 well, I stumbled on this forum as my wife was looking for tips on her pregnancy, and I said to myself, "time to be part of the team!" lol. That's about it I guess? haha. see you all around! so you're that guy that questioned my faith on doctors! hmpf! haha just kidding! welcome to the community Robert! Well hello there Daddy Robert! I am thinking you are sneaking on what moms talk about in a forum, huh? haha. Welcome to te world of motherhood! Welcome to the forum, Robert! About time we hear from the dads around here. it would be lovely what you think about varicose veins and mom-brains j/k! see ya around. Welcome Robert! I hope you enjoy your stay here and you get to share some tips on how we can understand dads better. Lol. We hope you will also learn things that we discussed here. Browse away sir. Welcome to the group! And congratulations on the 3rd kid. you sure will have a lovely full house. Thanks for all the warm greetings everyone! I hope I can be of much help and assistance to everyone on the forum, just like how the whole forum helps me! I'm so happy to welcome another dad into the forum! This is going to be great! Hey bro! I'm happy to know that I have 2 more dad buddies here! Hi there Rrrrrobert! Haha. Nice to meet you here. Welcome to the forums! I had to be unique, I couldn't be just another "Robert" lol. FULL SUPPORT FROM THE DADDY TEAM @MrHandy @Picked Peppers! that's right @Rrrobert! haha. see you more on the forum! Haha, I'm so glad to see you dads "teaming up" in here lol. Welcome to the forums Robert!